The 2014 Lifeboat Foundation Guardian Award has been given to Elon Musk in recognition of his warnings about artificial intelligence, his promotion of space exploration including the creation of self-sustaining space colonies, and his efforts to improve our environment with electric cars and to expand solar energy generation. 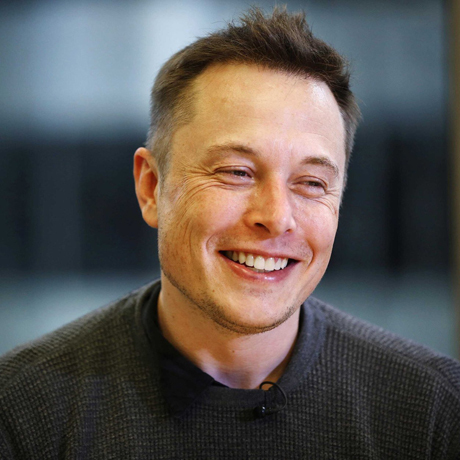 Elon is often likened to a real-life Tony Stark from Marvel’s Iron Man comics for his role in cutting-edge companies including SpaceX, a private space exploration company that holds the first private contracts from NASA for resupply of the International Space Station, and the electric car company Tesla Motors. Watch Elon in Iron Man 2! Elon is CEO and CTO of SpaceX. Historic achievements by SpaceX, among others, include the first privately funded, liquid-fueled rocket (Falcon 1) to reach orbit in September 2008; the first privately funded company to successfully launch (Falcon 9), orbit, and recover a spacecraft (Dragon) in December 2010; and the first private company to send a spacecraft (Dragon) to the International Space Station in May 2012. The launch of SES-8 in December 2013 was the first SpaceX delivery into geosynchronous orbit. Elon is CEO, Chairman, and Product Architect of Tesla Motors. Tesla first gained widespread attention following their production of the Tesla Roadster, the first fully electric sports car. The company’s second vehicle is the Model S, a fully electric luxury sedan, and its next two vehicles are the Models X and 3 respectively. Tesla also markets electric powertrain components, including lithium-ion battery packs to automakers including Daimler and Toyota. Elon has said that he envisions Tesla as an independent automaker, aimed at eventually offering electric cars at prices affordable to the average consumer. Elon is Chairman of SolarCity, the second largest provider of solar power systems in the United States. Continuing its strong growth, the United States installed 1,354 megawatts of solar photovoltaics in Q3 2014, up 41 percent over the same period last year. Only 440 megawatts had been installed in all of 2009 to show how fast this market is growing. The Lifeboat Foundation Guardian Award is annually bestowed upon a respected scientist or public figure who has warned of a future fraught with dangers and encouraged measures to prevent them.